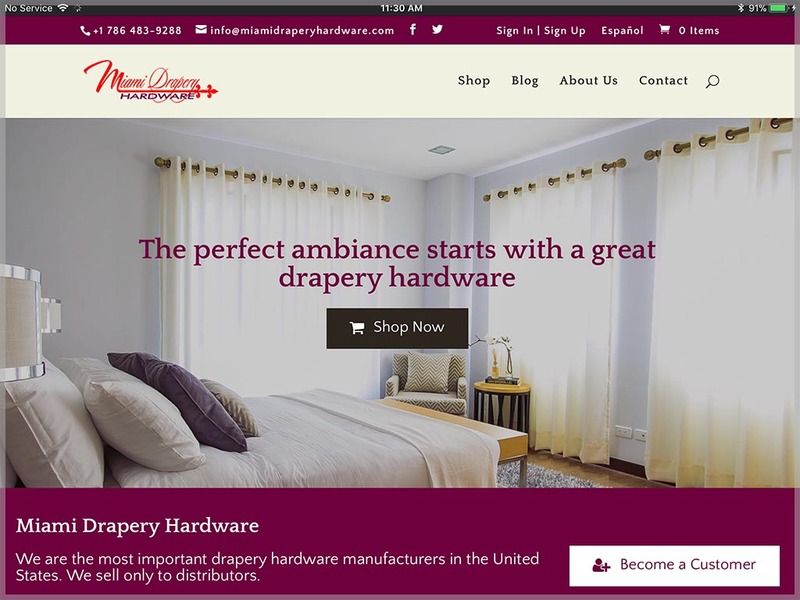 Miami Drapery Hardware is a company with more than 20 years of experience in drapery hardware products. They are located in Doral, Miami, Florida. This project aims to offer its products to customers who are distributors, so they needed that the prices were not published, but only registered users of the website could see them. Once the users sign up, they can make purchases directly from the website, like any e-commerce. In addition, it has a blog where articles of interest for this type of audience will be published.